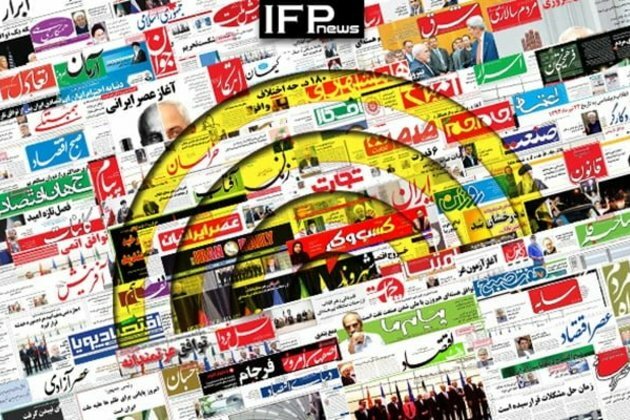 IFP has taken a look at the front pages of Iranian newspapers on Tuesday, March 19, 2019, and picked headlines from 12 of them. IFP has simply translated the headlines and does not vouch for their accuracy. The statements made by Iranian President Hassan Rouhani during his trip to southern Iran caught considerable attention from Iranian media circles. Rouhani called for more unity to pass the hardships saying that the Iranian nation will definitely pass through this stage. Another hot topic for Iranian newspapers was Foreign Minister Mohammad Javad Zarifs visit to the holy city of Qom and his meetings with Grand Marjas, who advised Zarif to talk to the world countries with a soft rhetoric, and put more efforts into uniting the Muslim world.